We highly sensitive people (HSPs) are often seen as weak or flawed by our society. As an HSP, you may have been told that you’re “too emotional” or “too sensitive.” Sometimes our trait of sensitivity is mislabeled as introversion, shyness, or even autism. 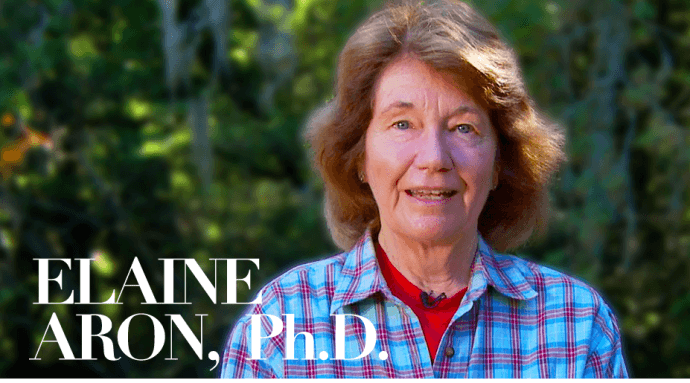 Dr. Elaine Aron, who has been studying high sensitivity for over two decades and wrote the book The Highly Sensitive Person, hopes to change all that by making a documentary about what it really means to be highly sensitive. The documentary, called Sensitive: The Untold Story, is directed by Will Harper and will feature singer/songwriter Alanis Morissette, among other high-profile personalities. The feature-length movie will explore high sensitivity through research, interviews with people from all walks of life, and scenes that portray HSPs in relationships, at work, and as parents and children. The goal of the documentary is to empower HSPs and dispel myths and stereotypes about high sensitivity—especially the myth that high sensitivity is a flaw. According to the Sensitive movie blog, Morissette is an HSP and an avid supporter of Dr. Aron’s research. Dr. Ted Zeff, author of The Power of Sensitivity: Success Stories by Highly Sensitive People Thriving in a Non-sensitive World, was interviewed for the documentary and discussed the special challenges that sensitive men have in American culture. “The new movie Sensitive will empower the HSP community since hundreds of thousands of people will learn about the trait of high sensitivity, that the trait is not a disorder, and that 20 percent of the population are HSPs,” Dr. Zeff tells I, D.
Jacquelyn Strickland, co-founder with Dr. Aron of HSP Gathering Retreats, who was also interviewed for the documentary, tells I, D that the documentary will help clear up misinformation and stereotypes about HSPs, some of which have been popularized by social media. “It will show the vast range of how HSPs can and do show up in the world, and hopefully it will inspire HSPs to show up in the world with more confidence to ‘dare greatly,'” Strickland says. Over 1.4 billion people are highly sensitive, and there are equal numbers of men and women who have the innate trait of sensitivity. It’s not only introverts who are highly sensitive—about 30 percent of HSPs are extroverts. If you’re highly sensitive, it means you process sensory information—especially in new situations—more thoroughly and deeply. “The negative side of this deep processing is that, while [HSPs] are more positively affected by positive situations, they are also more negatively affected by negative situations, plus being generally more easily overstimulated when there is too much to respond to,” writes Dr. Aron. A release date for the documentary has not been announced yet, but according to an email update from Dr. Aron, over 40 interviews have been completed. Check out the Sensitive Facebook page for more updates or visit the Foundation for the Study of Highly Sensitive Persons to donate to the documentary or Dr. Aron’s HSP research. Check out Dr. Aron’s latest update on the project by clicking here.